Glad you enjoy the night with pleasant friends, the rest… FORGET them. I’m happy to the moon and beyond to see Jaejoong smiling happily and enjoying his time …and Coldplay just seeing their name and Jaejoong’s name in the same sentence warms my heart. I hope he meant the snake. (I can’t forgive her either!) But mainly I hope he meant her because I would hate it if he had been bothered by people or sasaengs at the concert. I love seeing him enjoy his life & I hate how much the sasaengs & certain entitled fans rob him of that freedom. Sorry for not understanding your thought. Can you explain to me who is this snakes? Who did jj found ata the concert that makes him unpleasant? Sighh, he is suppose to be happy all the time. Tell me who made jj feel unpleasant please? I’m so slow at shading. Lols. BoA (the snake) and the CEO of SM – the other unpleasant person though can’t remember his name. Nothinf makes me more happy than seeing his beautiful smile. Jaejoongie in the audience, experiencing and doing what he makes his fans do. 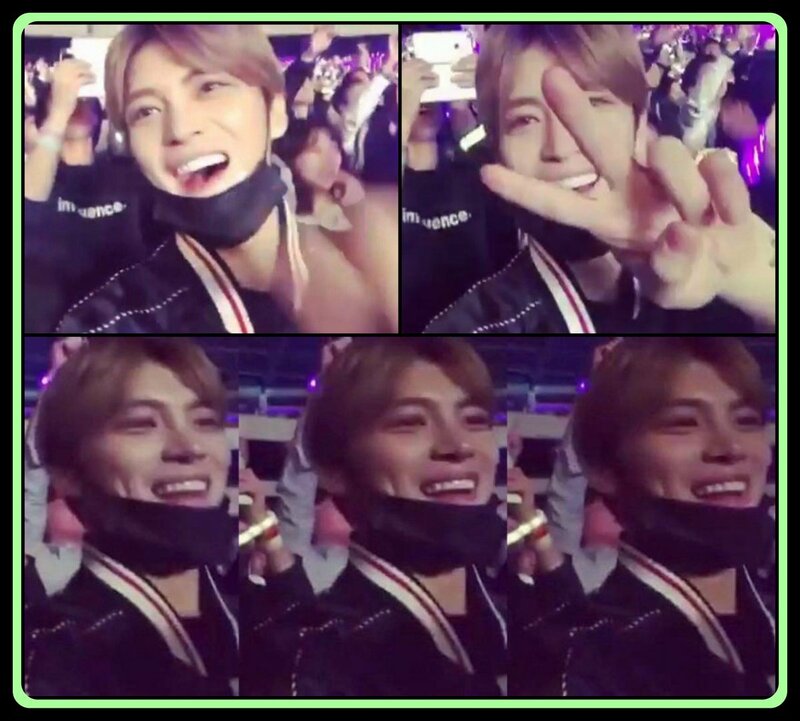 Somehow this happy face of Jaejoong reminds of this. “Only for a short moment but so happy”. I feel so relieved that Jaejoong escaped whatever is stressing him even if only for a short while. I wish his worries are short-lived and keep away from our angel. I love Jaejoong’s honestly!! Shade or what! Jaejoong is too cute! It’s great to see him smiling like that! Stay strong JJ! OMGosh his smile just lights up the stadium! That is the brightest smile , true happiness there. May it always grace your lovely face. 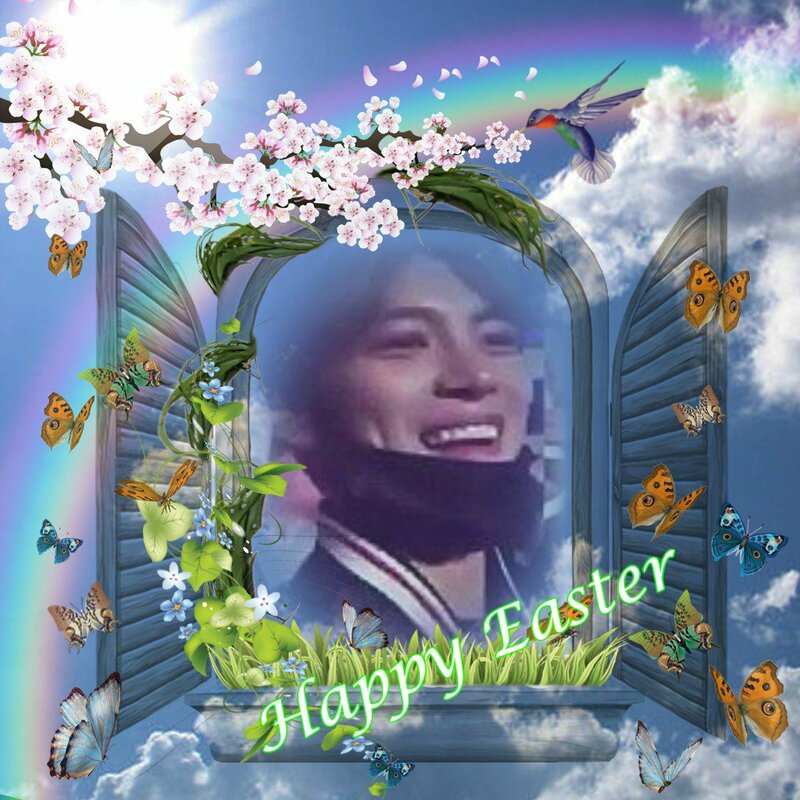 Have a great Easter Sunday – peace, love and serenity..
His smile is so sweet. I really love that. Guys.. It’s smthg wrong with our jj? His ig now private? Why? I think ever since he showed the thread mill IG, followed by the “mood he was in” and the big “No” something has been bothering him. If he changed his IG to private after he was so happy to open it up to a million followers this probably confirms it. I don’t have twitter so don”t know what annoying questions or comments some netizens might have been posting to force him to do that. The treadmill picture was supposedly in reference to him punishing himself for eating/drinking too much while he was in Japan for that recent vacation. We don’t know what the “NO” post is about but the unverified rumor mill went crazy by associating it with Yoochun’s marriage news. But he didn’t private his instagram until after the Coldplay post about not wanting to see certain people. 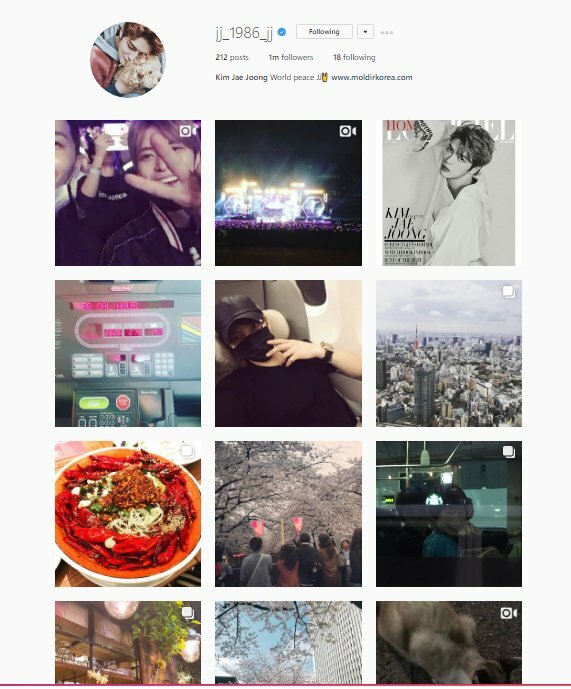 Normally when Jaejoong deletes a “controversial” post, it is within a few hours or on the same day at least.